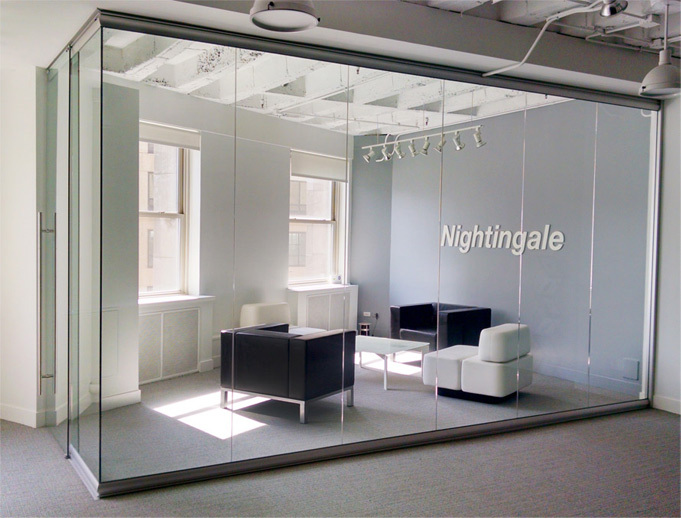 Glass office walls say: Let there be light, and everyone shall rejoice! 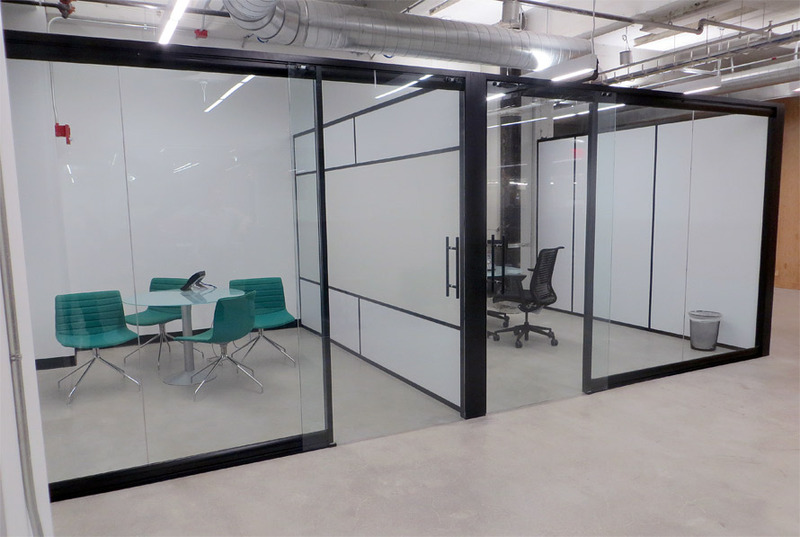 I see your true colors shining through... your glass wall system. 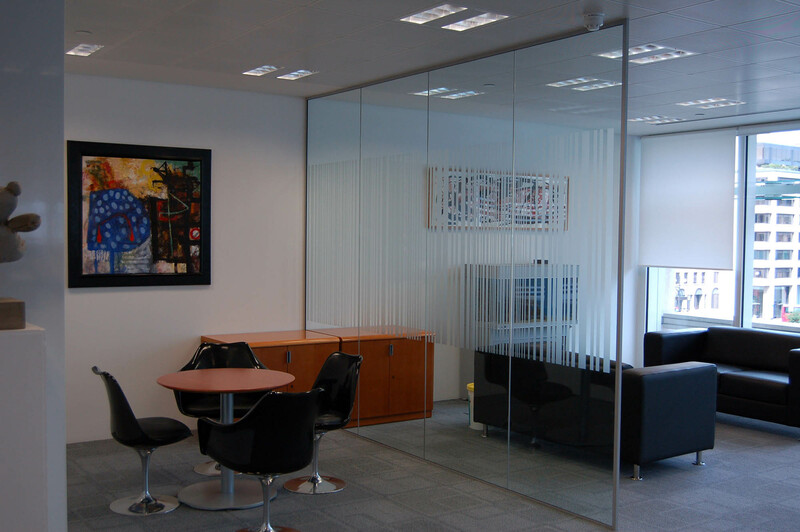 Glass room dividers can easily slip into your existing office architecture. Nobody knows what happens behind closed doors. 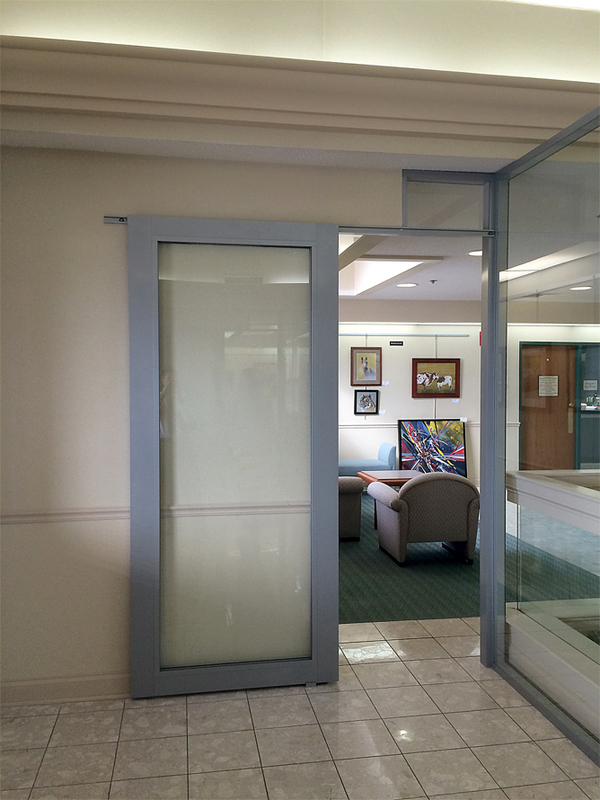 Unless they are glass doors. 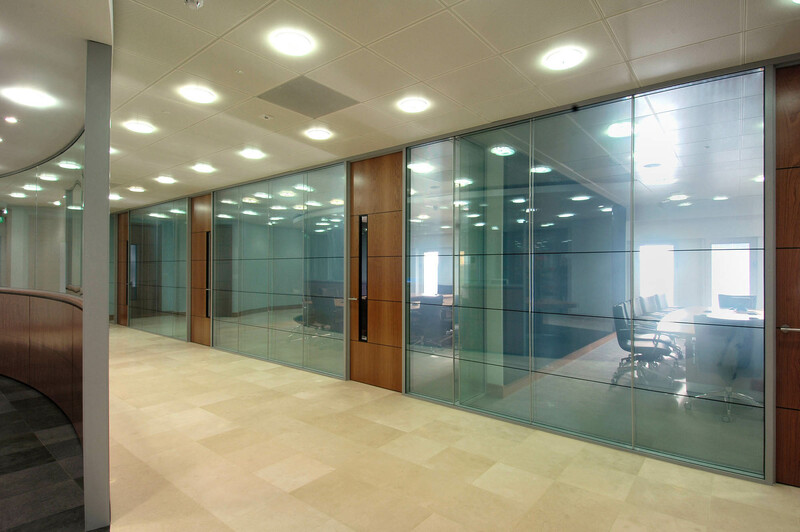 The only thing limiting your custom glass wall options is your ceiling. 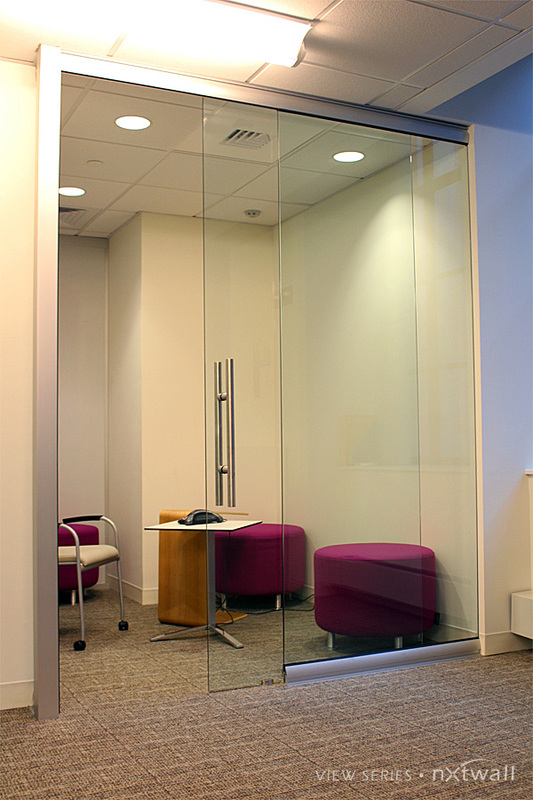 Texturize the midsection of your glass room dividers for a little privacy. Let the rivers change direction across the glass divide. 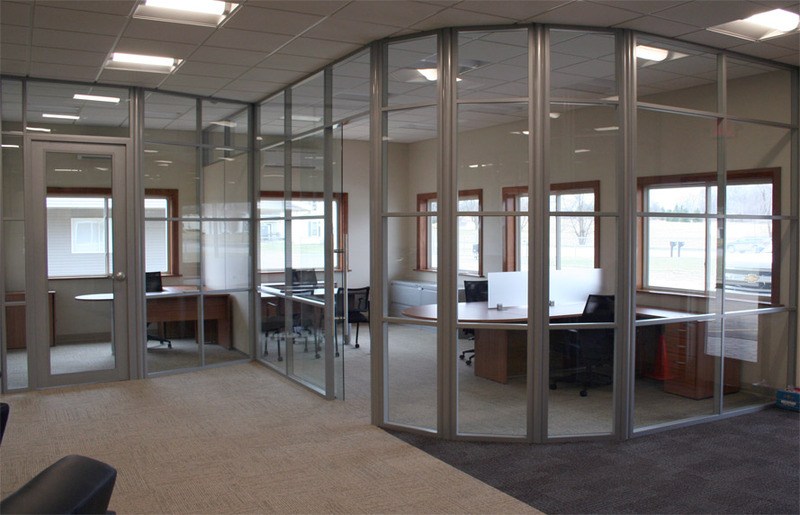 Glass Partition Walls offer an advantage with which drywall simply cannot compete. Style. Clarity. Co-worker connectivity. Said in a word: “Collaboration”. 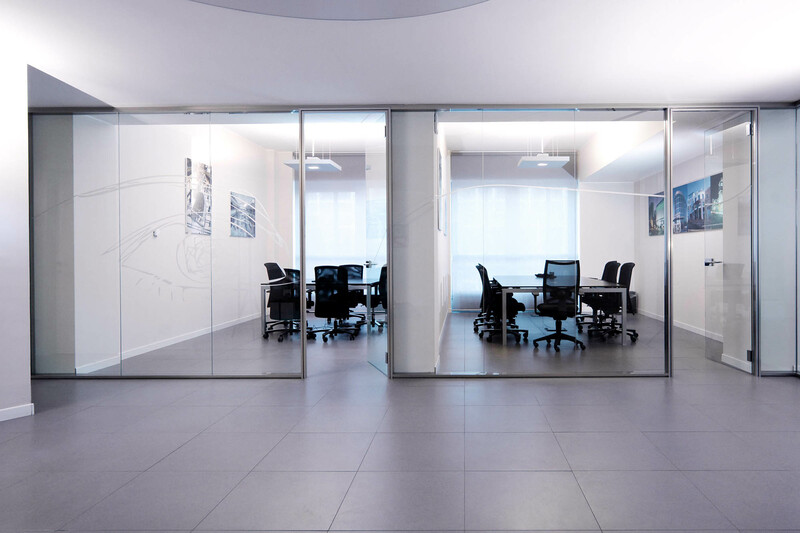 The additional advantages of incorporating glass panel walls into an office floor plan, are in-part responsible for their rapidly increasing popularity with office interior designers. Increased affordability is another. 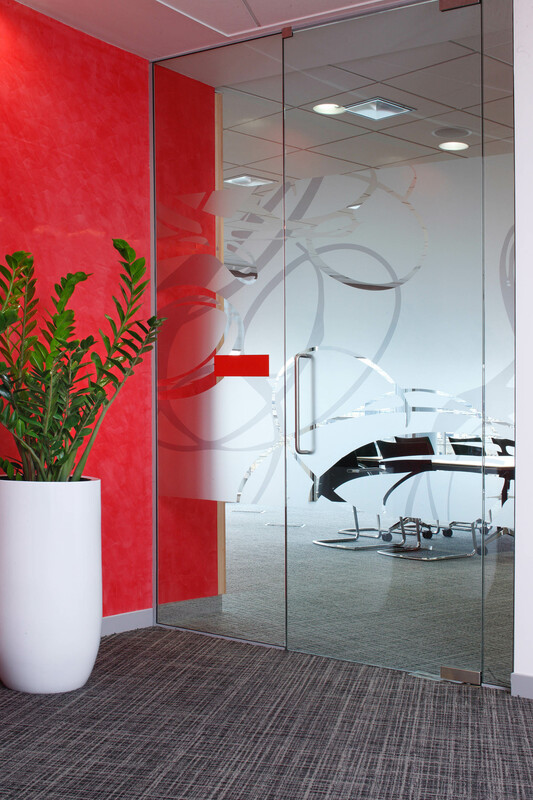 A glass alternative to drywall will never go out of style and will provide a modern look that will convey a unique office aesthetic, much the same as you would want for your reception area. 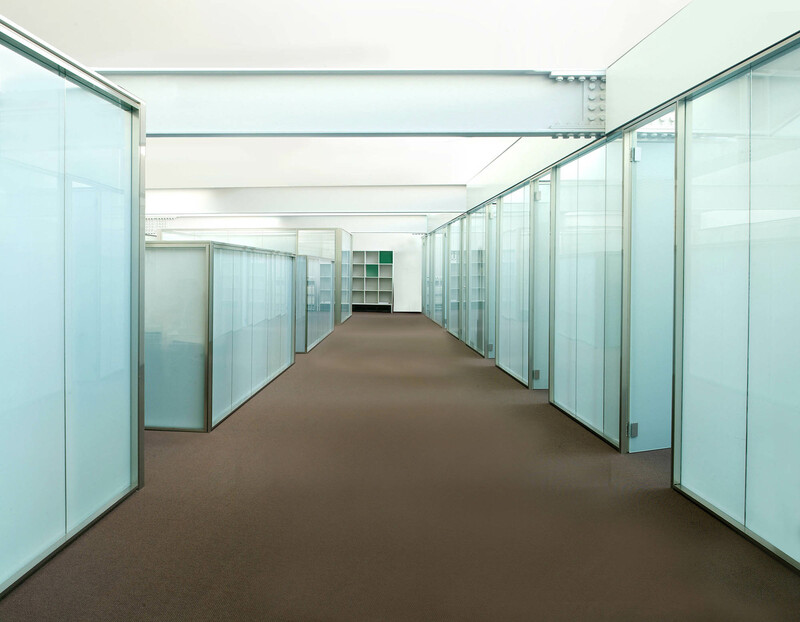 To be sure, one disadvantage to Glass Wall Systems is their higher initial cost when compared to drywall. 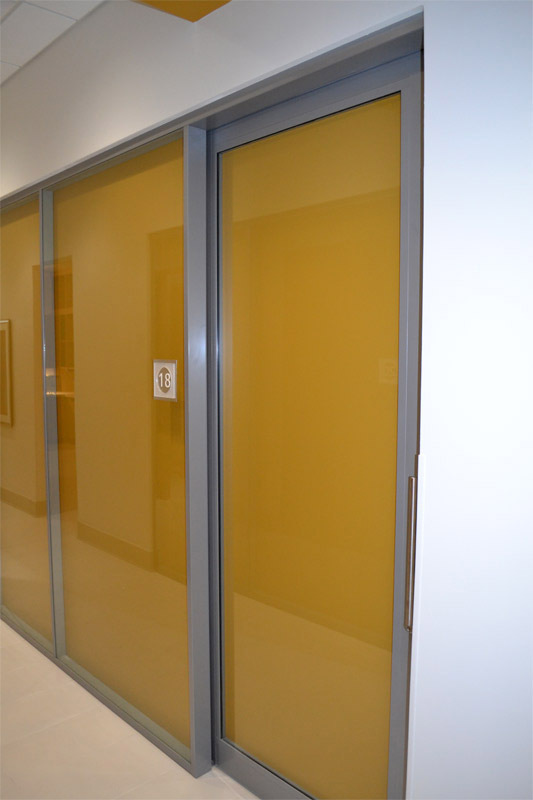 Glass as a material is costlier to produce than is the calcium sulfate dehydrate (a/k/a drywall or sheetrock). 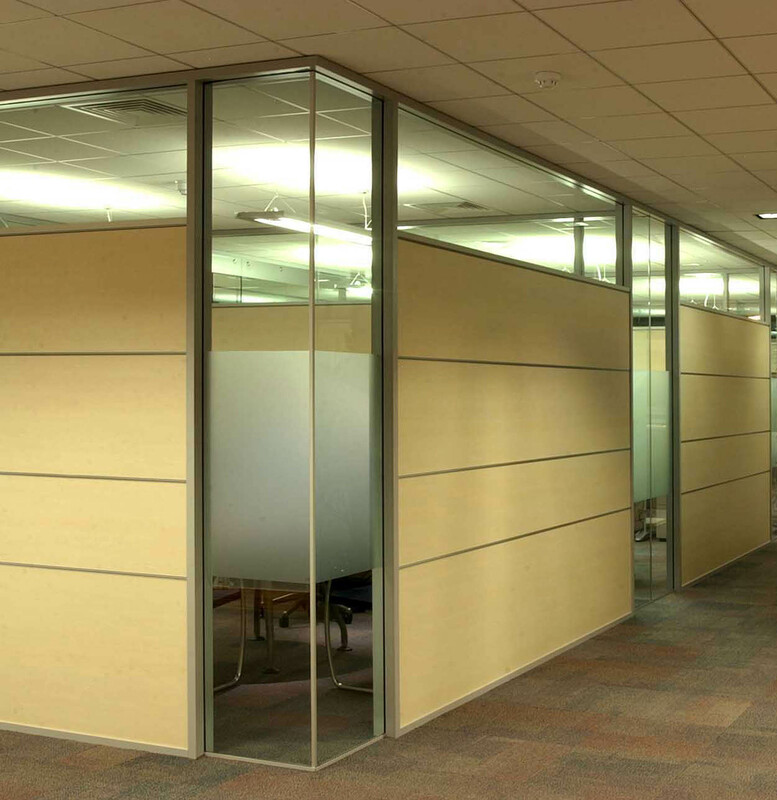 However, the scalability of a movable wall system also adds to the advantage and value of these types of office wall options. 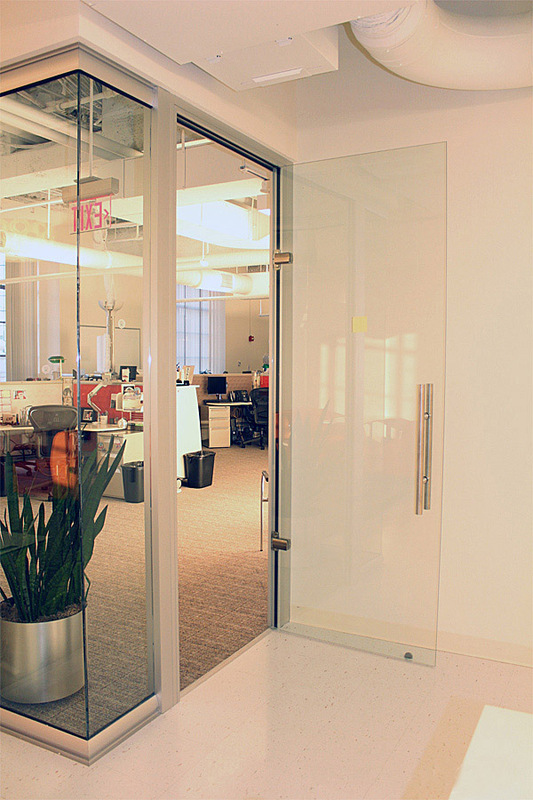 The bottom line: Glass is better, but initially costlier. 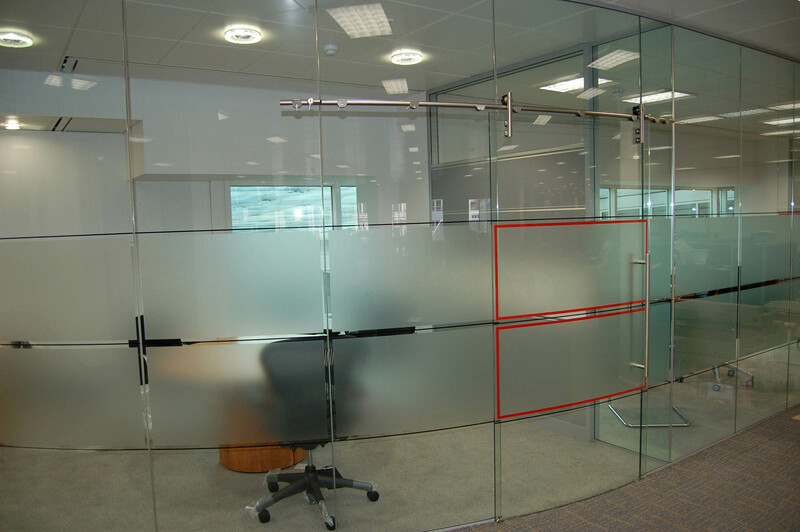 So the question is; will the added upfront expenditure be worth the added flexibility and visibility offered by glass? One step to be taken in finding the answer is to understand your product options. 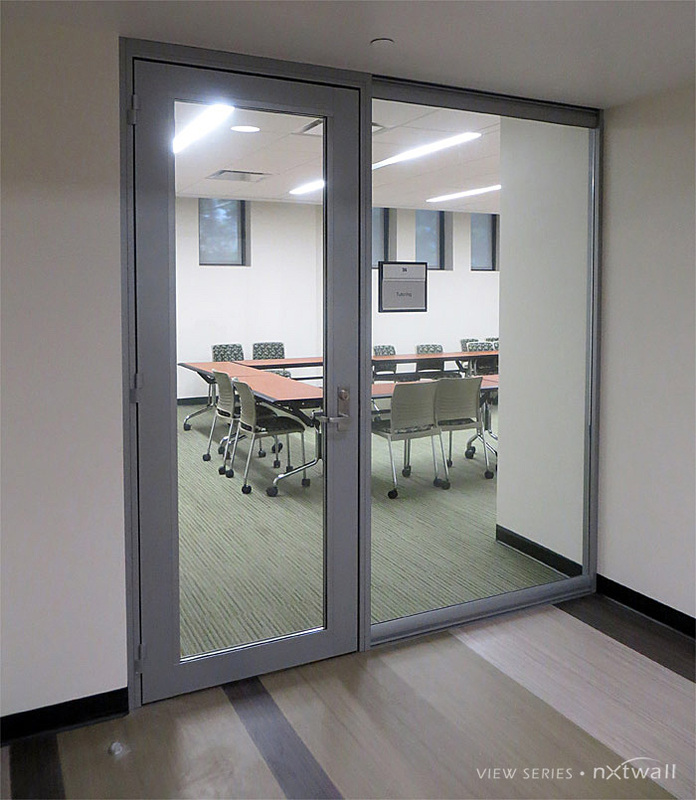 The Value of Movable Glass Wall Systems is demonstrated on multiple fronts. 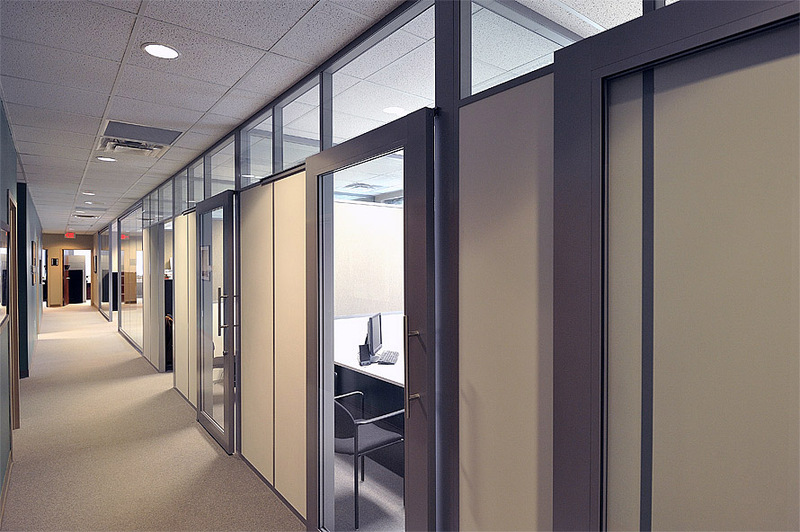 As already noted it would appear that sheetrock offers a lower out-of-pocket cash cost than movable walls. Which is true – at first – and without consideration of other real costs. 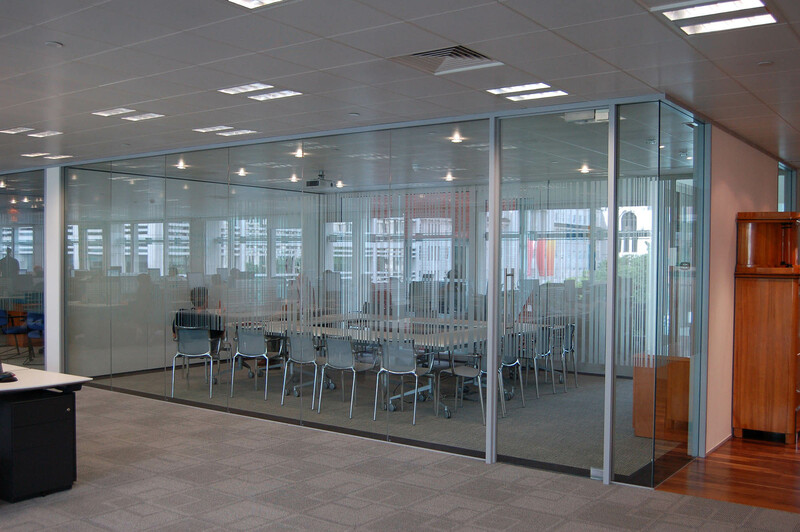 Moving might be just one – albeit far removed – consideration but the fact is Glass Partition Walls are movable and hence reusable. 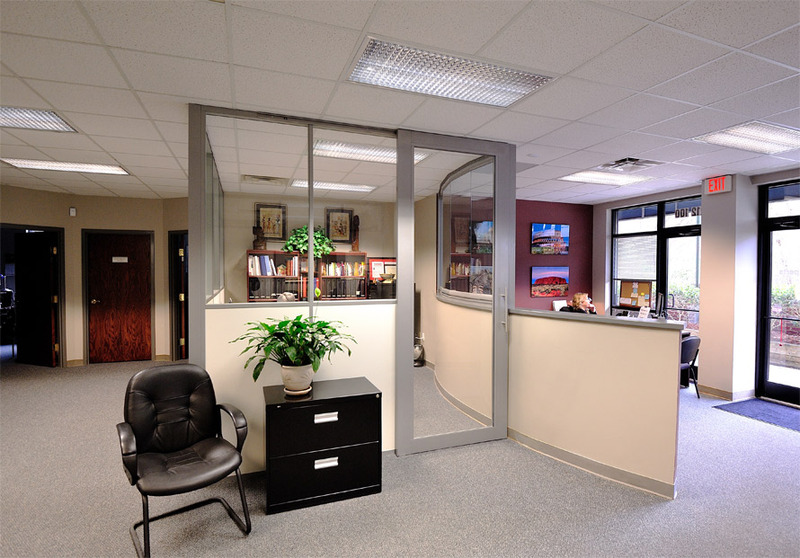 Sheetrock walls are fixed, permanent and movable only in a dumpster. When modifying or relocating the reusability and re-salability will become part of your calculus. 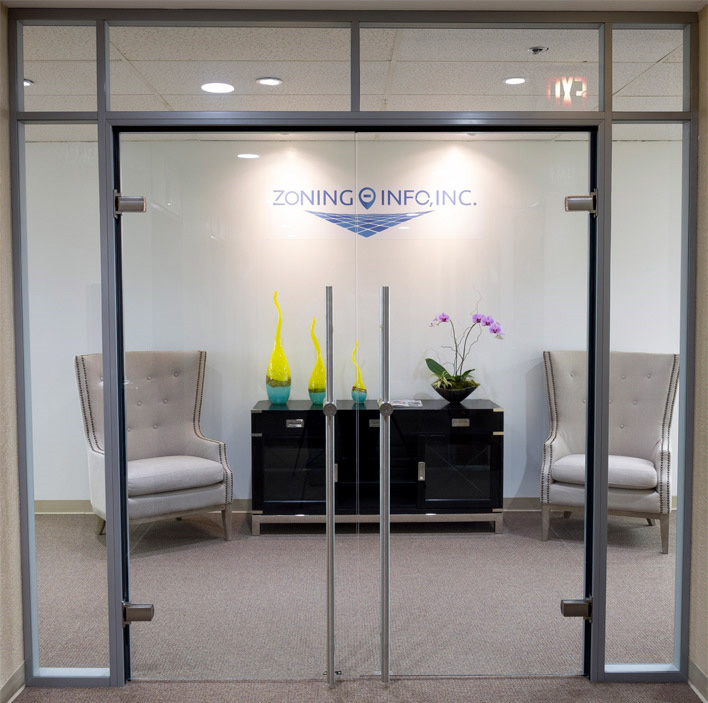 This advantage is written into its DNA and clearly demonstrated in the following video presentation. 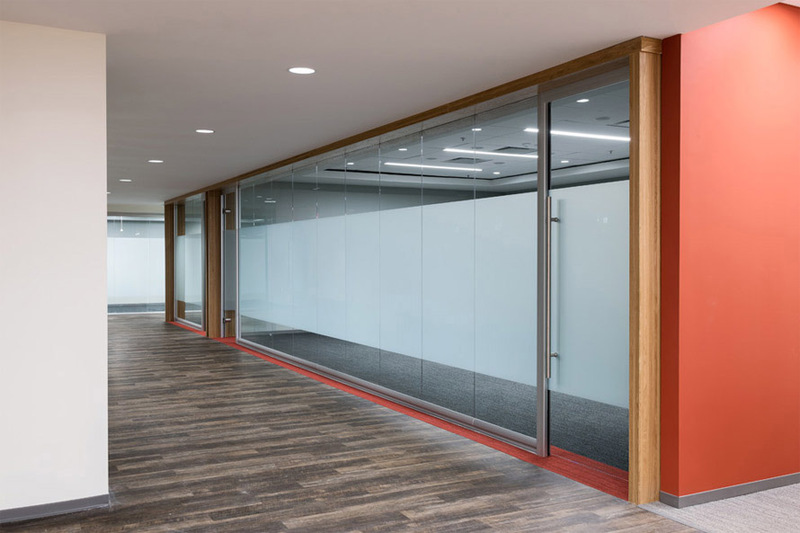 Additionally, let’s take a closer look at some of the other cost-benefit advantages of glass panel walls over sheetrock. 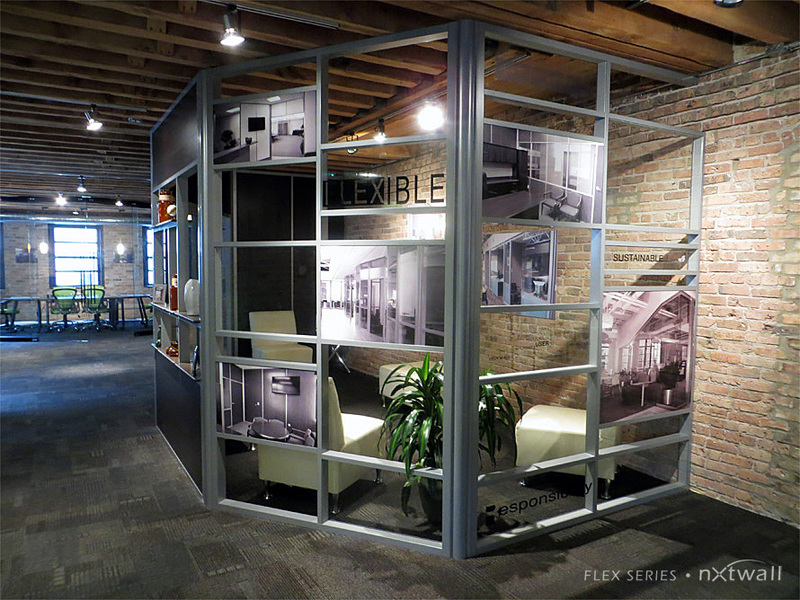 • Reusability reduces waste and is environmentally LEED POINT friendly. 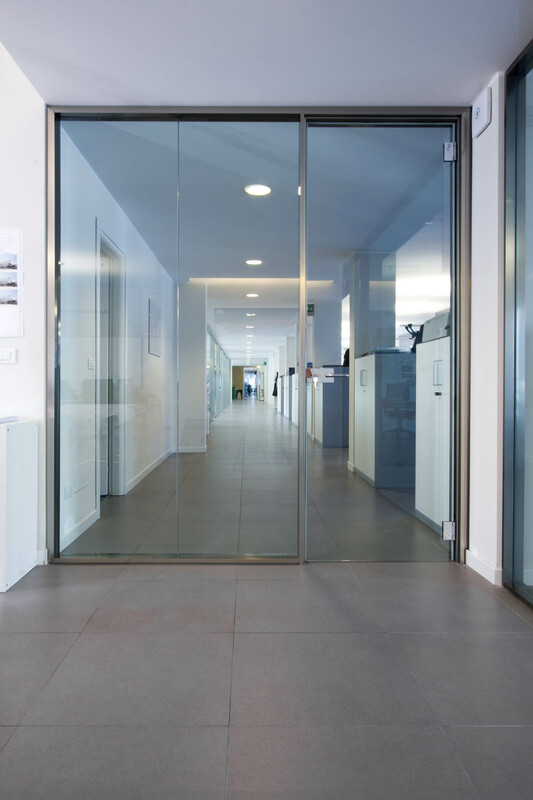 Two additional advantages of Glass Wall Partitions – with bottom line impact - are the reduced time and cost to build and the tax deduction and bonus deprecation of the IRS’s Section-179.